The new issue of The Bonefolder is online and available for downloading. Not familiar with The Bonefolder? 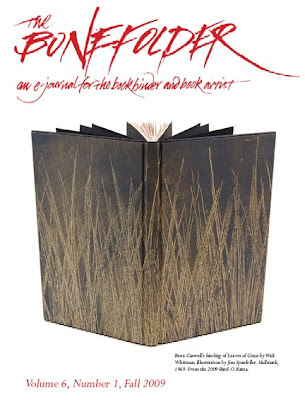 It's an excellent online journal for book artists and bookbinders! Visit the link and see all the back issues too.